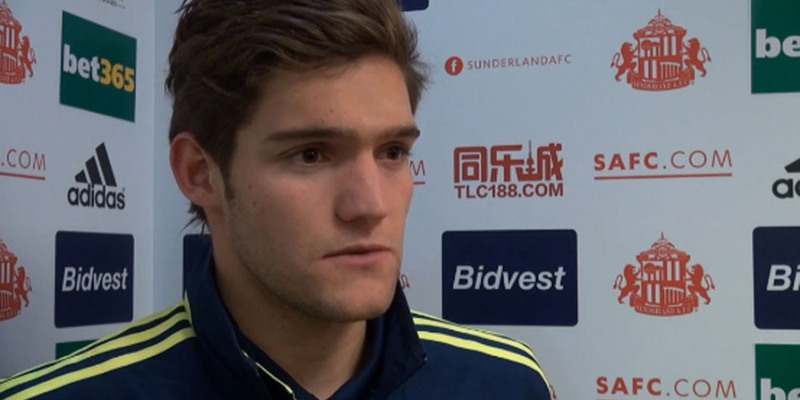 Marcos Alonso has urged Wanderers fans to get behind the team and raise the roof ahead of Sunday’s home match with Chelsea at the Reebok Stadium. ‘We are going through a bit of a tough time with the amount of injuries we’ve had. And although its not the start we all wanted we are all working really hard to get the right results. The supporters have always been fantastic during my time here and we will need them on Sunday more than ever.’ Said Alonso. The Spaniard also paid tribute to his team-mate and close friend Stuart Holden, who suffered an injury setback when it was revealed he could spend another six months on the sidelines. ‘We are all gutted for Stuart, he’s an influential player in our side and our Player of the Year last season. I believe he will be back stronger than ever before. I have been playing him on some football computer games, usually I win, but I think I may have to let him win a few to cheer him up!’ Joked Marcos. Marcos is making great progress with his own recovery from his broken foot and is all set to start running again next week.